In 1856, what is now Auburn University, was then known as East Alabama Male College. It wasn't until 36 years later when the University finally opened its doors to women. Now, 125 years later, a campus-wide celebration has begun to acknowledge the successful Auburn women of the past and to encourage the women of the future. "The idea of ‘125 Years of Auburn Women’ came out of Development and the Office of Alumni Affairs," said Barbara Baker, executive director of the Women's Leadership Institute. "This celebration is to commemorate how there have been so many outstanding women graduates that have come through Auburn." Countless programs and colleges across campus have contributed in the celebration, making it a true university-wide effort. Through the Office of Development, the University plans to create a more tangible commemoration by creating an outdoor classroom, Theatre III, in honor of the first three women to attend Auburn: Willie Gertrude Little, Katherine Broun and Margaret Teague. Theatre III will be located across from the Mell Classroom Building on the path to Samford, facing the buildings where the first three women lived while at Auburn. "We thought this was a perfect opportunity in terms of location, significance, the path to Old Main [the original Samford Hall] and the visible location," said Jane Parker, vice president for development. The classroom will be designed in a theater style with bench seating. On the face of each row, there will be a fundraising opportunity for those interested in donating $125 to have a name engraved on a brick. "We wanted to do something that would enable a broad range of people to participate in this," Parker said. Parker said the celebration is truly a signal moment in the life of the University. "The enrollment of the first three women of Auburn University changed the face of the institution — and for the better," Parker said. "It's appropriate that we acknowledge how and why that starts and because we were among the pathfinders for the enrollment of women in the state of Alabama, and we should celebrate that." Along with Development, the Women's Leadership Institute is hosting "Auburn Women Leaders Past and Present" at the Telfair B. Peet Theatre on Thursday where Gov. Kay Ivey and Auburn SGA presidents will be speaking. "One of our goals is to encourage women," Baker said. "In all of the 125 years, we've only had three women presidents of the SGA, and it really is quite something to have Jacqueline Keck at the same time we have a woman governor." Baker said the Institute's mission as part of the 125-year celebration was to get students involved and in front of these successful women as a way to encourage them to go on and become leaders themselves. 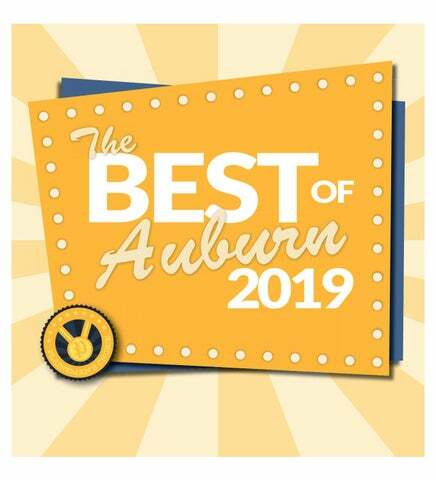 "These freshmen, sophomore and junior students are people who still have some time to cultivate their Auburn experience and realize that they can do it," Baker said. "They can be the president of SGA; they can be the governor of the state. Seeing it is believing it because if you don't see any representation, then you internalize this notion that women really can't be these things." Women make up 49 percent of Auburn's campus, but women are underrepresented in upper administration and on the board. Of 15 trustees, two are women. And the University has never had a woman president. If this inequality is not pointed out, Baker said, then it will continue in the same fashion. Not just on our campus but also in the U.S. Congress, state government and across the board. Bringing attention to women's minds that there is a shortage and that some attention should be paid to that inequality is why there are groups like women in STEM and women in business where they lack representation. With women in leadership comes different perspectives, Baker said. Women have an ability to look at things from a more feminine or maternal, communal way. "I can't help but think about the times we live in where we're constantly thinking about war and all of these other things,” Baker said. “If we had a critical mass of women, what difference would that make on how to perceive people?" Women should be represented at the level in which they exist, Baker said, which is half. "I would like to see at a minimum, what we call a critical mass, of the board of trustees, of the upper administration, of the heads and chairs, of the leadership of every group to be one-third women to make a difference in how things are decided," Baker said. Encouraging women won't stop after the celebration, she said, but rather stakeholders should use that momentum going forward to claim more influence and representation for women. "I want people to look back on this whole celebration and just say 'wow,'" Baker said. "'Wow.’ We have had some amazing women come through Auburn. I want for women to feel like it is no longer East Alabama Male College. It's Auburn. It's for everyone." 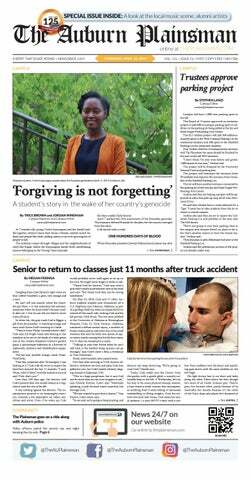 Print correction: The print version of this story stated that no woman had served as Auburn's provost. That was incorrect. Mary Ellen Mazey served as provost from 2009-2011. She left the University to become president of Bowling Green State University in Ohio. We deeply regret the error.